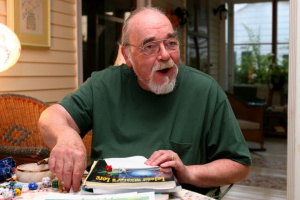 It’s Gary Gygax Day 2014. Here’s a commemoration of the man I wrote awhile back. Hope you enjoy it and sling a few dice today in the great man’s honor. 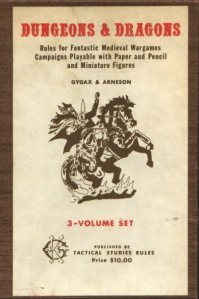 In the 1970s, Gygax (with his friend, Dave Arneson) created the game Dungeons & Dragons (aka D&D). It began as an off-shoot of the medieval table-top minature game “Chainmail“. They added supplemental fantasy rules to this battle simulation game. These rules expanded into the quintessential role playing game (RPG), Dungeons & Dragons.